William Perkins was born in 1558 to Thomas and Hannah Perkins in the village of Marston Jabbett, in Bulkington parish, Warwickshire. In 1577, he entered Christ’s College in Cambridge as a pensioner, suggesting that socially he nearly qualified as gentry. He earned a bachelor’s degree in 1581 and a master’s degree in 1584. While a student, Perkins experienced a powerful conversion that probably began when he overheard a woman in the street chide her naughty child by alluding to “drunken Perkins.” That incident so humiliated Perkins that he gave up his wicked ways and fled to Christ for salvation. He gave up the study of mathematics and his fascination with black magic and the occult, and took up theology. In time, he joined up with Laurence Chaderton (1536–1640), who became his personal tutor and lifelong friend. Perkins and Chaderton met with Richard Greenham, Richard Rogers, and others in a spiritual brotherhood at Cambridge that espoused Calvinist and Puritan convictions. Cambridge was the leading Puritan center of the day. Perkins’s formal training was Calvinism within a scholastic framework. The strict scholastic training at Cambridge was modified somewhat, however, by Peter Ramus’s influence Ramus proposed a method to simplify all academic subjects, offering a single logic for both dialectic and rhetoric to make them understandable and memorable. Perkins’s training in Ramus’s method oriented him toward practical application rather than speculative theory, and gave him skills for becoming a popular preacher and theologian. From 1584 until his death, Perkins served as lecturer, or preacher, at Great St. Andrew’s Church, Cambridge, a most influential pulpit across the street from Christ’s College. He also served as a fellow at Christ’s College from 1584 to 1595. Perkins served the university in other capacities. He was dean of Christ’s College from 1590 to 1591. He catechized the students at Corpus Christi College on Thursday afternoons, lecturing on the Ten Commandments in a manner that deeply impressed the students. On Sunday afternoons, he worked as an adviser, counseling the spiritually distressed. Perkins’s sermons were of many “colours,” writes Fuller. They seemed to be “all Law and all gospel, all cordials and all corrosives, as the different necessities of people apprehended.” He was able to reach many types of people in various classes, being “systematic, scholarly, solid and simple at the same time.” As Fuller says, “His church consisting of the university and town, the scholar could have no learneder, the townsmen [no] plainer, sermons.” Most importantly, he lived his sermons: “As his preaching was a comment on his text, so his practice was a comment on his preaching,” Fuller concludes (Abel Redevivus, 2:148, 151). Perkins worked to purify the established church from within rather than joining Puritans who advocated separation. Instead of addressing church polity, he focused on addressing pastoral inadequacies, spiritual deficiencies, and soul-destroying ignorance in the church. In time, Perkins as rhetorician, expositor, theologian, and pastor became the principle architect of the Puritan movement. His vision of reform for the church, combined with his intellect, piety, writing, spiritual counseling, and communication skills, enabled him to set the tone for the seventeenth-century Puritan accent on Reformed, experiential truth and self-examination, and their polemic against Roman Catholicism and Arminianism. By the time of his death, Perkins’s writings in England were outselling those of Calvin, Beza, and Bullinger combined. He “moulded the piety of a whole nation,” H.C. Porter said. 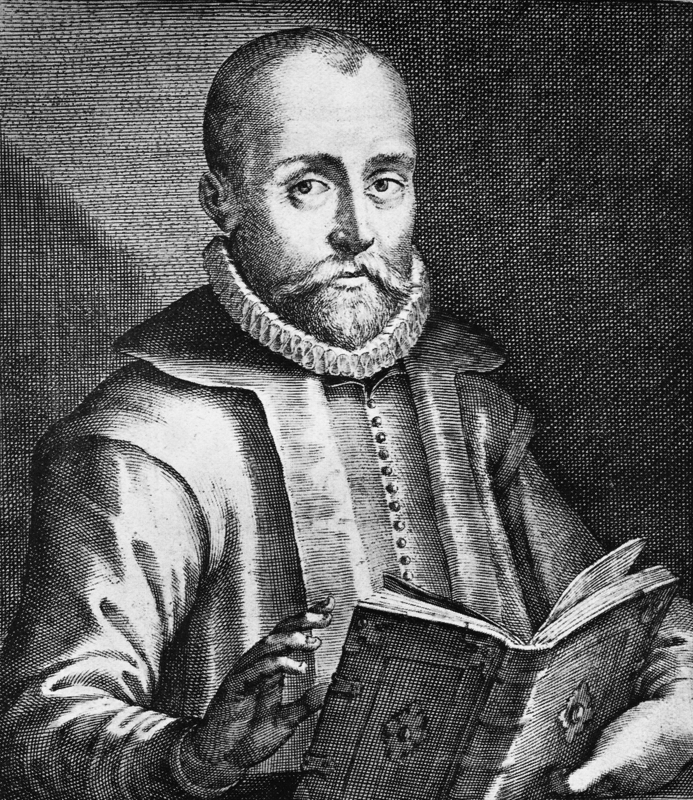 Perkins’s influence continued through such theologians as William Ames (1576-1633), Richard Sibbes (1577-1635), John Cotton (1585-1652), and John Preston (1587-1628). Cotton considered Perkins’s ministry the “one good reason why there came so many excellent preachers out of Cambridge in England, more than out of Oxford.” Thomas Goodwin (1600- 1680) wrote that when he entered Cambridge, six of his instructors who had sat under Perkins were still passing on his teaching. Ten years after Perkins’s death, Cambridge was still “filled with the discourse of the power of Mr. William Perkins’ ministry,” Goodwin said. The translation of Perkins’s writings prompted greater theological discussion between England and the Continent. J. van der Haar records 185 seventeenth-century printings in Dutch of Perkins’s individual or collected works, twice as many as any other Puritan He and Ames, his most influential student on the continent, influenced Gisbertus Voetius (1589-1676) and numerous Dutch Nadere Reformatie (Further Reformation) theologians. At least fifty editions of Perkins’s works were printed in Switzerland and in various parts of Germany. His writings were also translated into Spanish, French, Italian, Irish, Welsh, Hungarian, and Czech.